In addition to being regulated by the Fair Debt Collection Practices Act (FDCPA), Maryland collection agencies are also regulated by Maryland debt collection laws. Discover: Maryland collection requirements, bad check laws (NSF), statutes of limitations for both debts and judgments, garnishments plus Maryland collection agency license and bonding information. After 30 day written notice, amount due, $25 fee, twice check amount up to $1000. |At the discretion of the court.| Applies to COD sales only. Greater of 75% or amount = to $145 x no. of wks. in which wages due were earned; except in Caroline, Worchester, Kent & Queen Anne’s Counties, see federal law. Exemption is up to $3,000 in cash and/or property for non-wage property exemption. (a) In this title the following words have the meanings indicated. (b) “Board” means the State Collection Agency Licensing Board. (4) employing the services of an individual or business to solicit or sell a collection system to be used for collection of a consumer claim. (d) “Commissioner” means the Commissioner of Financial Regulation. (2) arises from a transaction in which, for a family, household, or personal purpose, the resident sought or got credit, money, personal property, real property, or services. (f) “License” means a license issued by the Board to do business as a collection agency. (g) “Licensed collection agency” means a person who is licensed by the Board to do business as a collection agency. (a)(1) In this section the following words have the meanings indicated. (2) “Common ownership” means direct or indirect ownership of more than 50% of a person. (3) “Principal business” means a business activity of a person that comprises more than 50% of the total business activities of the person. 3. the name of the person’s resident agent. (a) This title does not prohibit the State Division of Consumer Protection or a local consumer protection unit from enforcing the Maryland Consumer Debt Collection Act [FN1] or local law. (2) the State Division of Consumer Protection or a local consumer protection unit under the Maryland Consumer Debt Collection Act or under local law. Only the State may require a person to hold a license or to pay a fee to do business as a collection agency. There is a State Collection Agency Licensing Board in the Office of the Commissioner of Financial Regulation in the Department. (ii) 4 members appointed by the Governor with the advice and consent of the Senate. (ii) 2 shall be consumer members. 2. an employee of a local consumer protection unit in the State. (ii) within 1 year before appointment, have had a financial interest in or have received compensation from a person regulated by the Board. (c) While a member of the Board, a consumer member may not have a financial interest in or receive compensation from a person regulated by the Board. (d) Before taking office, each appointee to the Board shall take the oath required by Article I, § 9 of the Maryland Constitution. (e)(1) The term of an appointed member is 4 years and begins on July 1. (2) At the end of a term, an appointed member continues to serve until a successor is appointed and qualifies. (3) A member who is appointed after a term has begun serves only for the rest of the term and until a successor is appointed and qualifies. (f) The Governor may remove an appointed member for incompetence or misconduct. The Commissioner is chairman of the Board. (a) The Board shall set the times and places of its meetings. (b) Each member of the Board is entitled to reimbursement for expenses under the Standard State Travel Regulations, [FN1] as provided in the State budget. (c) The Board may employ a staff in accordance with the State budget. 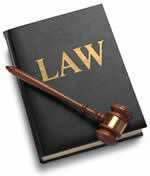 (ii) requiring the violator to take affirmative action to correct the violation. (b) If a violator fails to comply with a lawful order issued by the Board, the Board may impose a penalty of up to $500 for each violation cited in the order, not to exceed $5,000, from which the violator failed to cease and desist or for which the violator failed to take affirmative action to correct, as ordered by the Board. (5) any other factors relevant to the determination of the financial penalty. The Board shall pay all money collected under this title into the general fund of the State. (a) Except as otherwise provided in this title, a person must have a license whenever the person does business as a collection agency in the State. (2) a regular employee of a licensed collection agency while the employee is acting within the scope of employment. (2) pay to the Board an application fee of $400. (b) An application shall be made under oath. (c) If an applicant wishes to do business as a collection agency at more than 1 place, the applicant shall submit a separate application and pay a separate application fee for each place. (d) An application fee is nonrefundable. (4) files with the Board a bond or bond continuation certificate as required under § 7-304 of this subtitle. (a) Within 60 days after an applicant submits an application for a license and pays the application fee, the Board shall approve or deny the application. (3) command the confidence of the public. (2) otherwise fails to meet the requirements for licensure. (d)(1) The denial of an application under this section is subject to the hearing provisions of § 7-309 of this subtitle. (2) An applicant who seeks a hearing on a license application denial shall file a written request for a hearing within 45 days following receipt of the notice to the applicant of the applicant’s right to a hearing. (a)(1) An applicant for a license shall execute a surety bond for the benefit of any member of the public who has a loss or other damage as a result of a violation of this title or the Maryland Consumer Debt Collection Act [FN1] by the applicant or an agent or employee of the applicant. (iii) in the amount of $5,000. (3) The total liability of a surety on a bond under this section may not exceed the amount of the bond, regardless of the number or amount of claims against the bond. (ii) then is relieved of liability under the bond. (b) The Board shall issue a license to each applicant who meets the requirements of this subtitle. (a) A license authorizes the licensee to do business as a collection agency at only 1 place of business. (b) A licensee may hold more than 1 license under this title. (a)(1) A license issued on or before September 30, 1997, expires on December 31 of the year in which it was issued. (2) A license issued on or after October 1, 1997, expires on December 31 in each odd-numbered year after December 31, 1997. (b) The Secretary may determine that licenses issued under this subtitle shall expire on a staggered basis. (a) A licensee may surrender a license by giving the Board written notice that the license is surrendered. (2) the obligation of a claim that the licensee lawfully acquired before the surrender. (5) fails to comply with a lawful order that the Board passes under this title. (2) only the licenses to which the ground applies. (5) the behavior and activities of the licensee since the conviction. (a)(1) Except as otherwise provided in § 10-226 of the State Government Article, before the Board takes any final action under § 7-308 of this subtitle, or under § 7-205 of this title, it shall give the person against whom the action is contemplated an opportunity for a hearing before the Board. (2) A hearing shall be held at a time and place reasonably convenient to the parties. (b) The Board shall give notice and hold the hearing in accordance with Title 10, Subtitle 2 of the State Government Article. (c) The Board may administer oaths in connection with a proceeding under this section. (d) The Board may issue a subpoena for the attendance of a witness to testify at a hearing under this section, but not for investigative purposes. (e) If, after due notice, the person against whom the action is contemplated does not appear, nevertheless the Board may hear and determine the matter. (2) if the licensee has no principal place of business in the State, where the consumer aggrieved by the violation resides. A party to a proceeding before the Board who is aggrieved by a final decision of the Board in a contested case, as defined in § 10-202 of the State Government Article, may take an appeal as allowed in §§ 10-222 and 10-223 of the State Government Article. The suspension or revocation of a license does not affect the obligation of a claim that the licensee lawfully acquired before the suspension or revocation. (a) Except as otherwise provided in this title, a person may not knowingly and willfully do business as a collection agency in the State unless the person has a license. (b) A person who violates this section is guilty of a misdemeanor, and on conviction, is subject to a fine not exceeding $1,000 or imprisonment not exceeding 6 months or both. This title is the Maryland Collection Agency Licensing Act. Subject to the evaluation and reestablishment provisions of the Maryland Program Evaluation Act, [FN1] this title and all regulations adopted under this title shall terminate on July 1, 2012. (a) In this subtitle the following words have the meanings indicated. (b) “Collector” means a person collecting or attempting to collect an alleged debt arising out of a consumer transaction. (c) “Consumer transaction” means any transaction involving a person seeking or acquiring real or personal property, services, money, or credit for personal, family, or household purposes. (d) “Person” includes an individual, corporation, business trust, estate, trust, partnership, association, two or more persons having a joint or common interest, or any other legal or commercial entity. (9) Use a communication which simulates legal or judicial process or gives the appearance of being authorized, issued, or approved by a government, governmental agency, or lawyer when it is not. A collector who violates any provision of this subtitle is liable for any damages proximately caused by the violation, including damages for emotional distress or mental anguish suffered with or without accompanying physical injury. This subtitle may be cited as the Maryland Consumer Debt Collection Act. Knowing and abiding to the proper Maryland debt collection laws is important for both creditors and collection agencies alike. There are debtor’s rights attorneys who are just waiting for creditors or collection agencies to slip up. If you mistakenly violate the Maryland debt collection laws, you could create a liability for your business and even open yourself up to a expensive lawsuit. Please note: Maryland debt collection laws can change over time, and you need to consult with an attorney before you use this information.